We are an inclusive club with members ranging in age, experience and ability all seeking a range of different results from their running. We understand that running is both an individual and team sport. While each person is seeking their own results from running, it is with the encouragement of a happy group that a person will reach their full potential. This might be for health and fitness, a fast marathon time or to finish one of those crazy long ultra runs! Whatever it is that gets you hitting the pavement we bet you will find someone in our club who will encourage and support you. All people of any ability and experience are welcome and will find benefit with joining our club. You are welcome to come along to any of our runs and try it out. If you become a member and continue to run with us we guarantee you will see the benefit with improved health and fitness, improved performance and best of all make lifelong friends. Our club consists of members aged from 1 to 80 with approximately equal males and females. Some of our members have just begun their running journey while others have been running for 60 years. We run 52 weeks a year rain, hail or shine. Although, you’ll find some of our members are more dedicated than others! Most Thursdays you be able to see us departing from our clubrooms on Ocean Drive as one happy chattering group. Each week there is a 10km, 5km and 3km (run or walk) with everyone splitting into groups with a range of paces to suit your current ability, mood, training status and experience. Our handicap series is based over the summer with five handicap runs. These runs will have a staggered start with each person’s start time based on their previous run time. An enjoyable event that can be anyone’s race, just remember – you never know who may be sneaking up behind you! As per our Club Calendar. A series of six runs, the runs culminate in the final male and female champion of the club each year. Two runs each of 3km, 5km and 10km are run with points being awarded to the fastest runners. If racing isn’t your style never fear! You can use the runs to better yourself or just run at the pace that suits you. Join in with the very dedicated group that is the Caf-fez Runner’s. Meeting every Saturday at Caf-fez in town this group will run rain, hail or shine. This is for the longer runners and runs are usually around 90 minutes. This run also caters for a range of abilities with many groups running at different paces and distances. Thanks Doug for 20 years of running and organising our Tuesday Intervals. Club legend Doug has decided to step down from running interval sessions on Tuesday morning at 6am. Intervals will still continue, Dom will step in to organise. This session is run at the club track and varies each week. Come along if you enjoy speed work and are happy to be at the mercy of our organiser…(disclaimer – there are two tracks to allow for a range of different speeds, all levels are welcome!). Our club hosts a number of events each year which everyone is welcome to join. 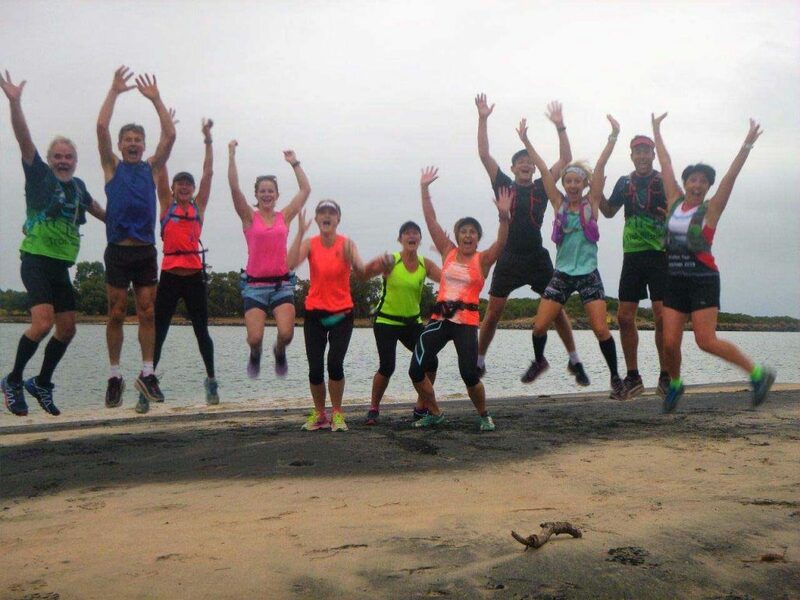 Our premier event of the year, the marathon is known as one of the most scenic in the state stretching along the spectacular Bunbury Back Beach, circling the native bird filled Big Swamp, speeding along the redeveloped Koombana Bay and looping around the dolphin playground of the Leschenault Inlet. Other distances available are a 5km, 10km, half marathon and 50km Ultra. A 5km and 10km event which loops around the Leschenault Inlet. A great way to kick off our national day and celebrate our great country. A wonderful event for women, often used for those starting their running journey and looking for a safe and encouraging place to learn about running and meet new people. The club hosts a number of training runs leading up to the event for any ladies who have registered. Refer to the event page for further details. One for the blokes! This event is an all-inclusive family run, it’s not a race but a great way to celebrate our Dads. Run around big swamp with your family and enjoy some light refreshments and socialising after. An event co-hosted by the Club, this weekend event provides a range of events with great prizes and participants from all over the country. The Club hosts a 5km fun run to support the main Gift race. Once a member of the club you will have the opportunity to be involved in a range of great activities, some not even running! These include an annual end of year sundowner at a new location each year, the occasional surprise fun run (who know what it will involve! ), bus trip runs to races or nearby towns and the opportunity to race in the Setagaya Half Marathon as a part of the sister city arrangement just to name a few. All of our events raise funds for charities. Charities are chosen by the race directors and event managers at the time of the event. We have a history of donating to Bayla Cancer Retreat, The Royal Flying Doctor Service, The Salvation Army, Beyond Blue, The In Town Centre, Nixi Teen Mums, Doors Wide Open, Men’s Shed, South West Womens Health, Conquer Cycstic Fibrosis, South West Women’s Refuge and more. 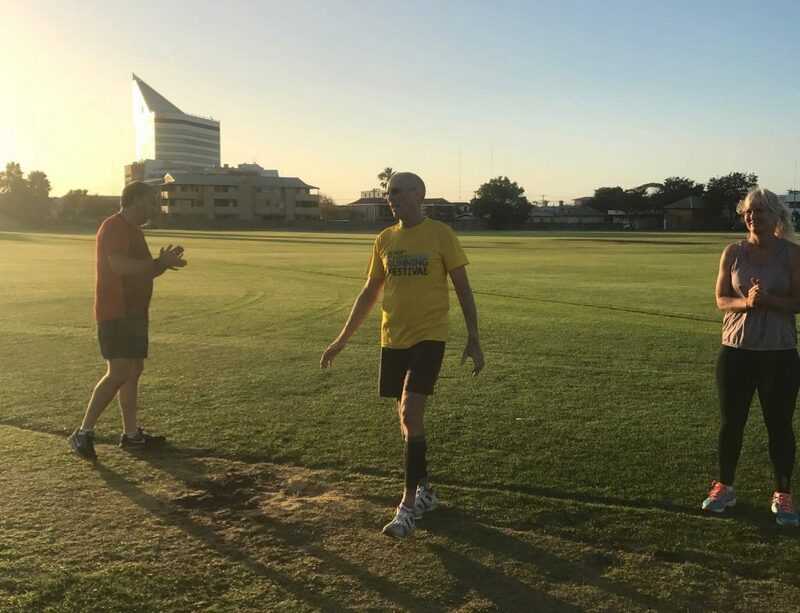 ​The Bunbury Runners club selects businesses to form lasting and mutually beneficial partnerships with, that share the clubs passion for health and the enjoyment of running. ​HBF has been the naming rights partner for the Three Waters Running Festival for 5 years now and this year has extended that agreement to include a year round partnership with the club to assist in promoting the clubs major publicly run races and club run championship and handicap events. ​The Bunbury Runners club is proud to be in partnership with HBF for 2019 and will look forward to many more years supporting Bunbury and the southwest region together. The Bunbury Runners Club Inc. will provide a range of high quality running and walking events that inspire the involvement of a wide cross section of the regional community to enjoy the health, social and lifestyle benefits. Provide members and the community at large, with regular opportunities to improve their health and social wellbeing through organised running and walking events. By supplying a supportive environment to our running community, this allows members to grow skills and confidence to achieve to the best of their ability.